It took over three years of releasing music on streaming platforms before Deena Ade finally released her first proper project, ‘The Cries of My Subconscious‘. Among the pre-released singles that made it to the luxurious 6-track project is “Melo”, produced by ThaBeatSmith. Asides proving her to be an explorer of both contemporary pop and retro R&B “Melo” also amplifies her reputation as the self-assured founder of SLUTWALK Lagos. Her birdlike voice cooing about physical intimacy invokes cocktails and caftan weather, like Deena Ade, recorded it by the beach. It serves as the perfect opener for a project that unveils her as self-assured but sensitive; a dedicated music fan with an earnest attentiveness to craft. ‘The Cries of My Subconscious’ opens with an “Intro” track where Deena Ade shows her proficiency at spoken word. The nearly a minute long rendition describes her struggles with anxieties and how it affects her relationship. It offers further context to “Melo”, making her lyrics, “Melo Melo La Fe So” more affecting than initially perceived. However, on “Lover”, it’s her resonant alto and ability to imbue a dreamy love track with a wistful melancholy without giving up any of her power that draws in listeners, wondering if love was really strong enough to bring Amy Winehouse back from the dead. Deena Ade’s ability to shimmy between genres is accomplished thanks to her taste in collaborators. Though there are no artists featured on ‘The Cries of My Subconscious‘, her work with producer, TiwaDara, provides the chance to experiment with her sound. On “Shere”, she sings over guitar riffs that makes her confessional love rendition listen like a highlife number, but the EDM influenced baseline, and instrumental solo interludes veer into house music territories. The same house influences are heard on the EP’s closing track, “Down”, also produced by TiwaDara. Deena Ade has always been interested in speaking truth (however painful) to power, and she mines her personal relationships for a slyly political backdrop that feels neither too obvious nor preachy. 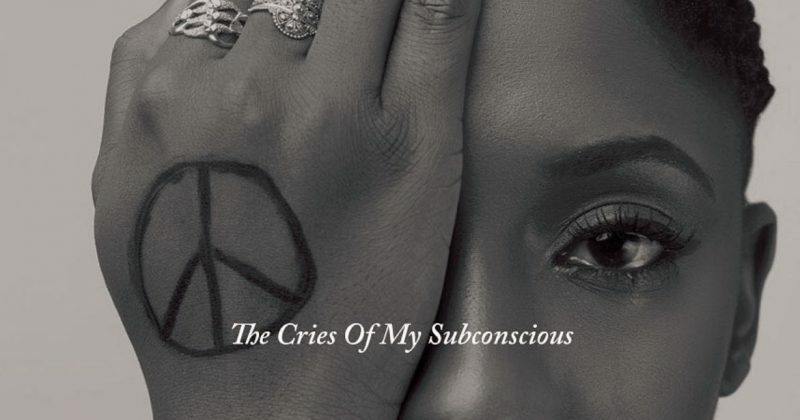 Like most good projects, ‘The Cries of My Subconscious‘ listens like a journal, using the artist’s raw confessionals and experiences to deliver the message for the understated strength in vulnerability. Listen to Deena Ade’s ‘The Cries of My Subconscious‘ below.